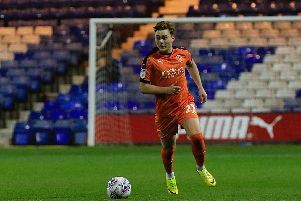 Luton full back James Justin earned some sterling praise for the key role he played in Saturday’s 5-1 win over Plymouth Argyle. The left back set up James Collins for the opening goal, scored the third and was then taken out in the area moments before half time, Collins converting the penalty. Boss Nathan Jones said: "He had a wonderful afternoon, as did pretty much everyone, but he caught the eye, especially because he has that top end athleticism. "When he does it and when we find him with the right weight and type of pass, he just looks another level and he showed that. "He was excellent, just like a razor really, just sharp through them, he was clinical, and wonderful.